5T. 47 cm. 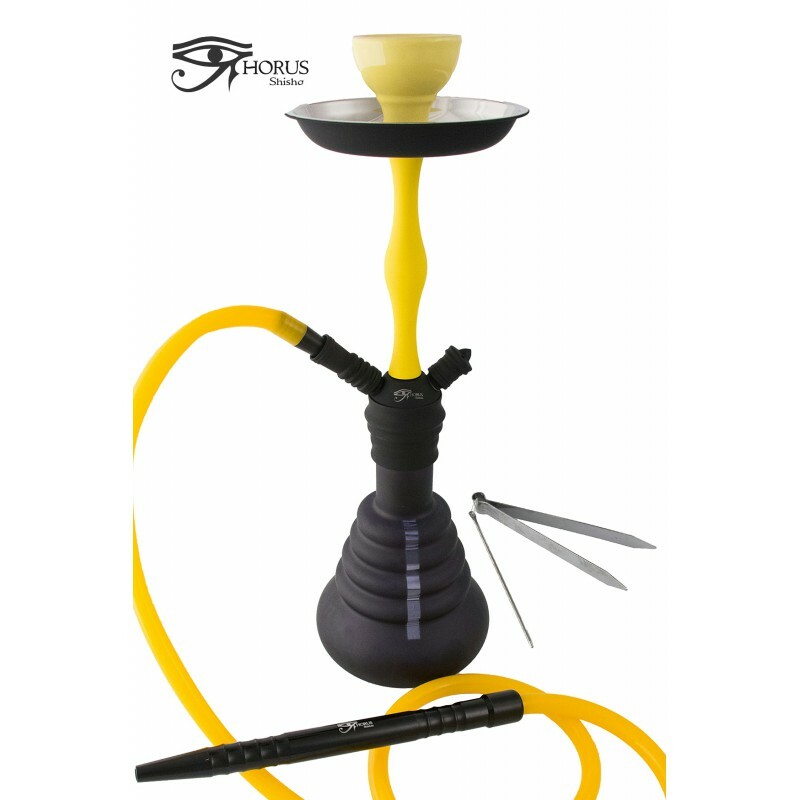 «HORUS» shisha with body yellow aluminium anti-slip and black crystal vase, with 1 hose - CIAF, S.L. High quality. Anti-slip body en aluminiun. Closures fitted. Aluminium and silicone hose of 180 cm. Metallic plate. Measures:15 Ø x 47 cm.